Eugene Laverty used the opening day of the three day MotoGP test to shakedown the Ducati GP14.2 that he'll use in 2016. It had been planned that the Aspar rider would only test Thursday and Friday but the team decided to use the opening day to make sure that they were well placed to learn as much as possible for the next two days. With track time likely to be limited to five to six hours of useful running at Jerez, the track is too cold for the opening and closing hours, Laverty was keen to get some groundwork done on the opening day. "Today was just about bedding in the bike and understanding it ahead of the next two days of testing. We spent the majority of the time getting the electronics dialled in with the settings for throttle connection, engine braking and stuff like that getting focused on. We did 25 laps today just to get ready for tomorrow." The 2016 electronics are the main focus of attention for teams this week. While the Repsol Honda riders, Marc Marquez and Dani Pedrosa, were both saying that they are struggling to adapt to the new software package Laverty was pleased with how they worked on the Ducati. "It does seem that it suits our bike better. For the Ducati, the transition did seem to be pretty seamless. At Valencia, it was probably easier, because Pirro had already tested there and Redding and the guys just hopped on something that was already ready. And I guess that's what Pirro has been doing today, and what we've been doing today, so I can get a proper feel tomorrow, and have a better idea." With Aspar switching to Ducati bikes for next year having ran the Open Honda in recent years there has been a constant flow of personnel from the Italian manufacturer into the garage. 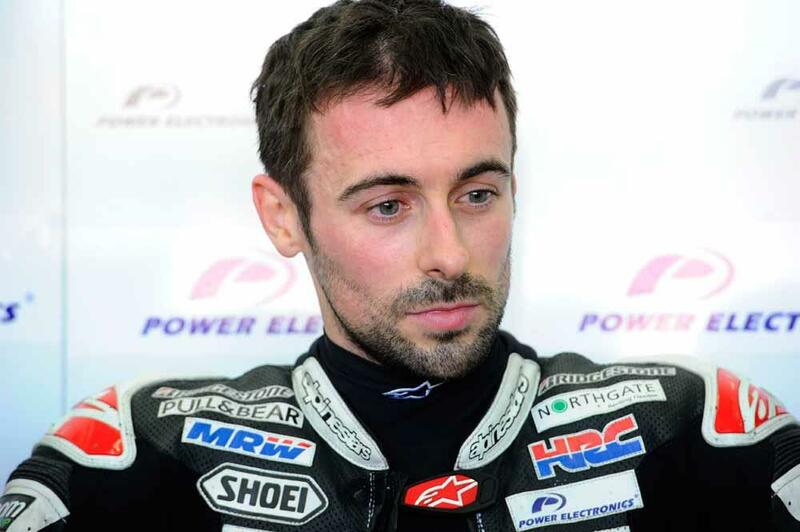 For Laverty this has been one of the most significant changes that he has already seen from the switch. The support being offered saw three Italian engineers in the pitbox throughout the day and Gigi Dall'igna, the General Manager of Ducati Corse, also making sure that the team were progressing. Having worked with Dall'igna at Aprilia in World Superbikes Laverty has plenty of experience of the Italian. "Today we had Gigi into the box twice and it's a massive thing when you have that kind of support from the factory. We went out today just to make sure that we're ready to test from tomorrow but even though it was a setup day there was still interest from Ducati to help us. The factory boys weren't running, so they could give us a bit more assistance. "It's always been Gigi's approach to make sure that everyone using his bikes has support. If you're on his bikes, then you're part of the family. He doesn't just want bikes to fill the grid, he wants his bikes to be competitive, and that makes a big difference to us as well."